Capture point-of-purchase candy sales with this candy display! 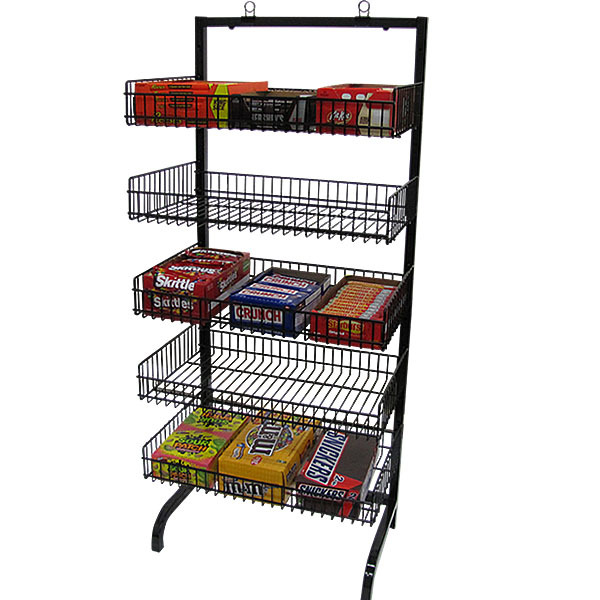 The 5 Basket Impulse Merchandiser is an effective candy display that can help maximize your profits. The Impulse Merchandiser contains 5 adjustable baskets measuring 23 in W x 14 in D x 2 3/4 in H each. The unit is available in White or Black. Sign holder Clip included. For more options, we invite you to take the opportunity to peruse our comprehensive selection of candy displays at Specialty Store Services now.